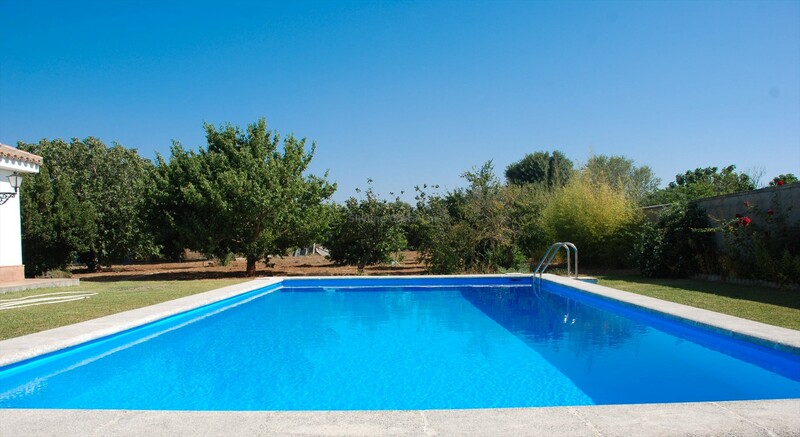 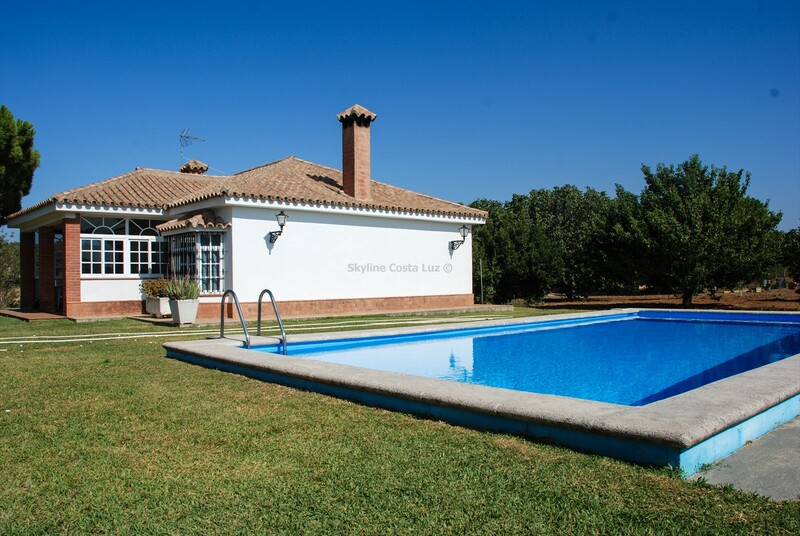 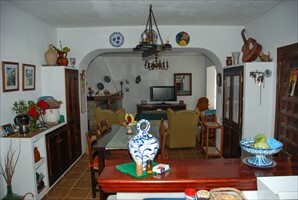 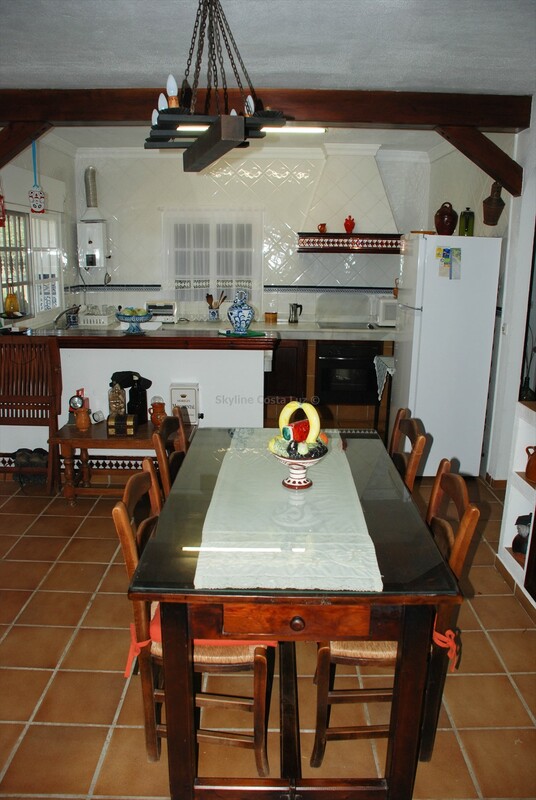 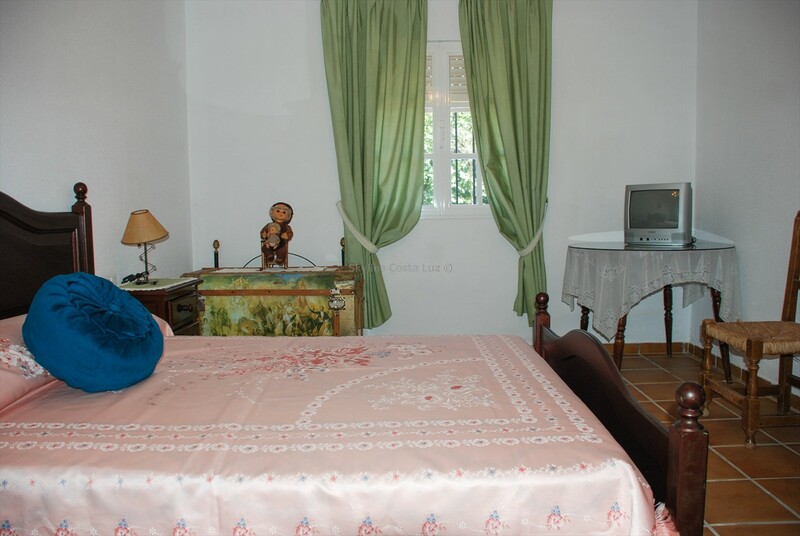 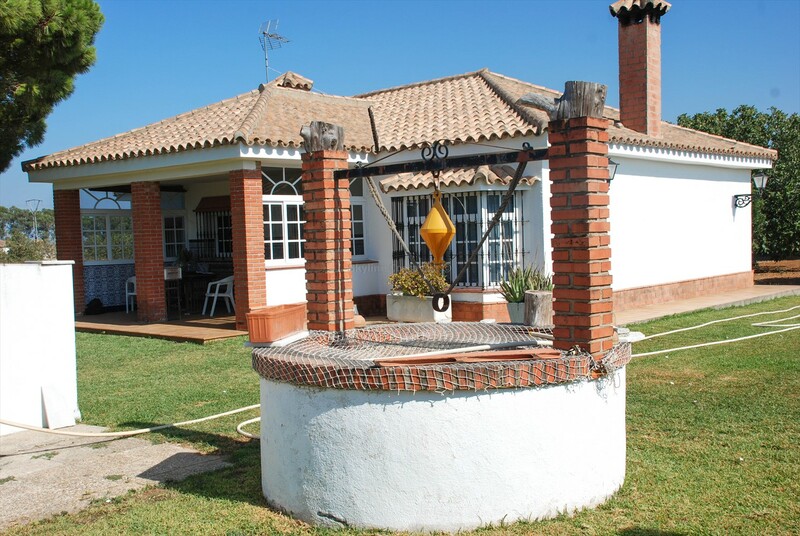 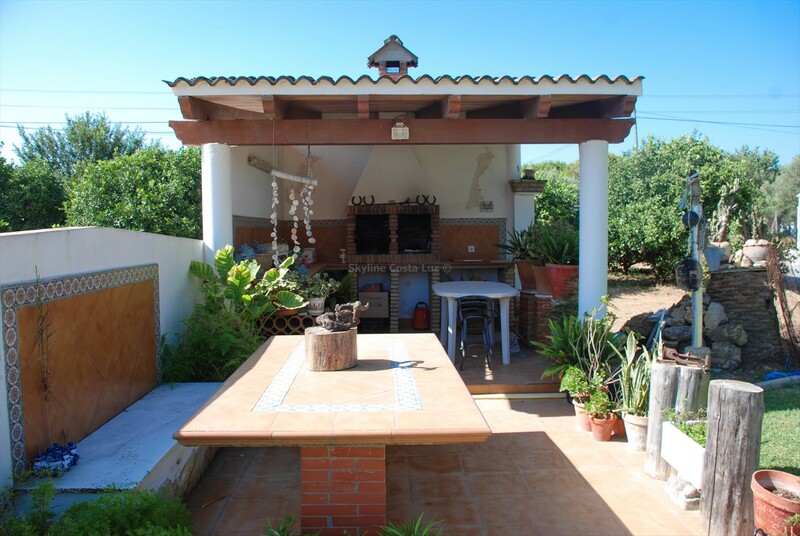 A lovely property for sale in cadiz region with great outdoor space, private swimming pool and large garden suitable for vegetables or vineyard and comes with existing fruit trees. 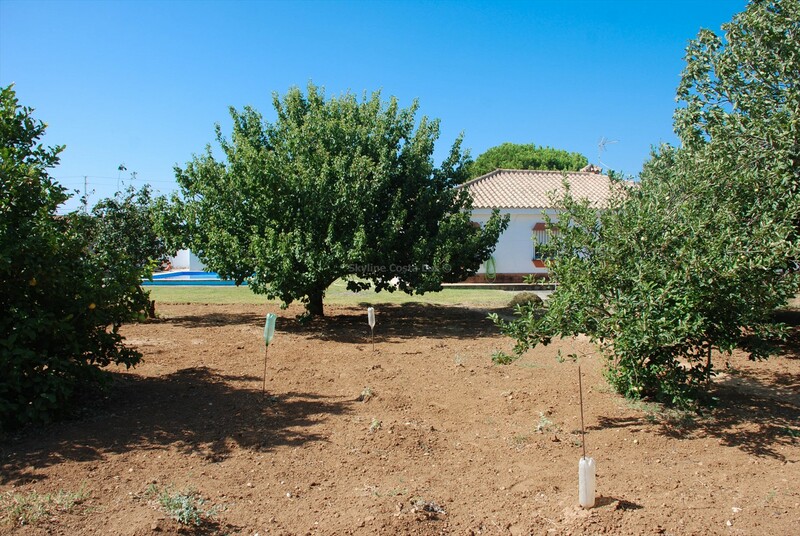 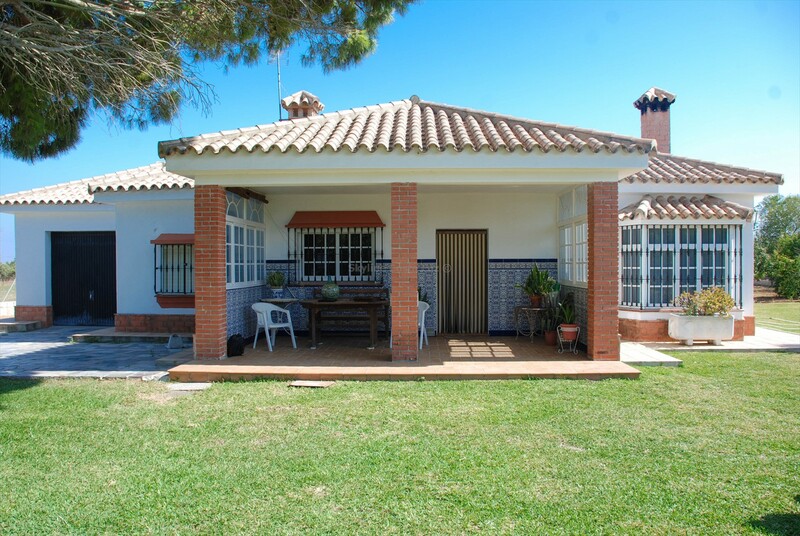 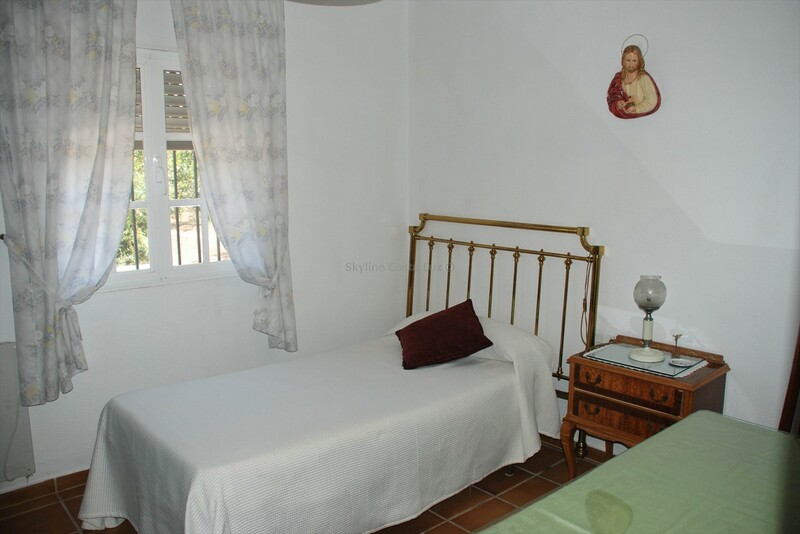 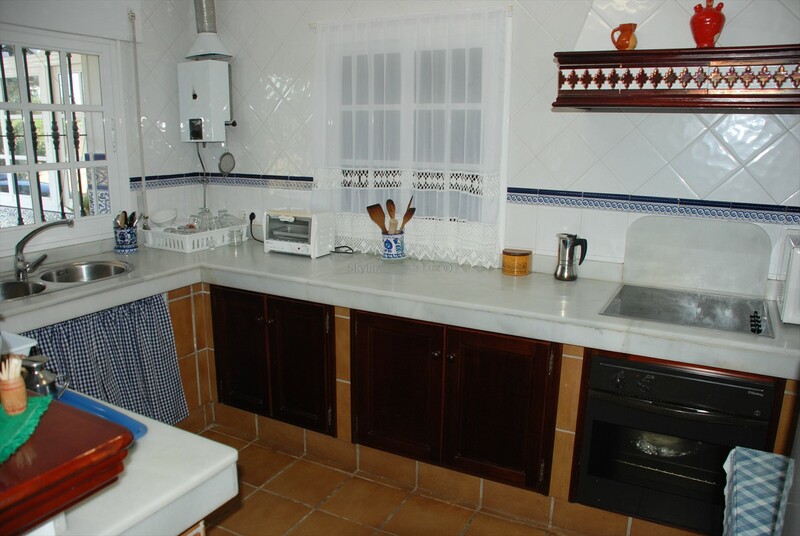 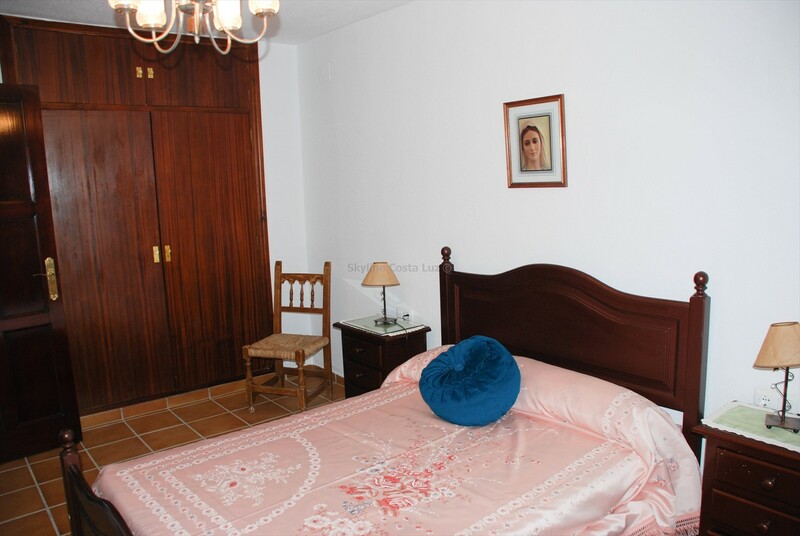 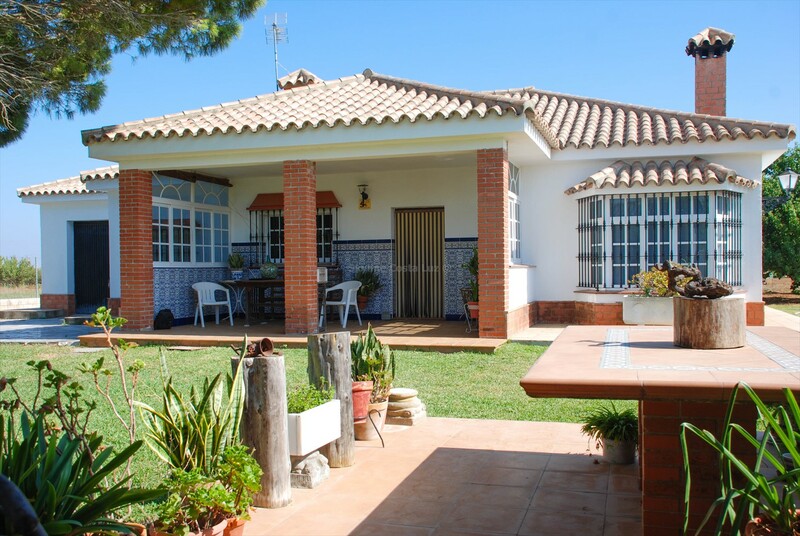 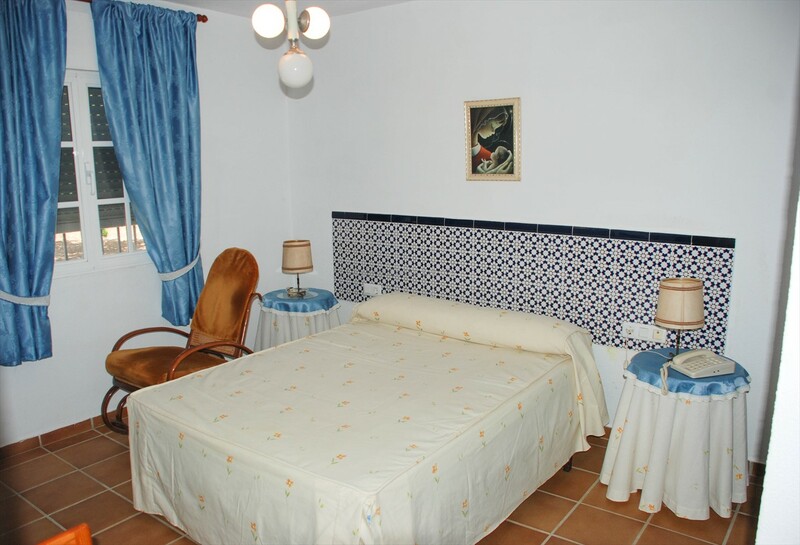 Ideal for people looking to live an ecological lifestyle, the house for sale in Chiclana is located in El Marquesado, which is very close to the Puerto real hospital and has easy access to the motorway. The entrance to the property has sufficient space for multiple cars. 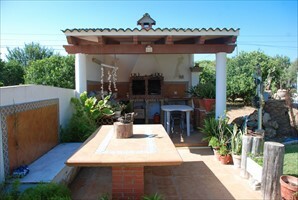 A large covered barbecue area with seating is to the right. 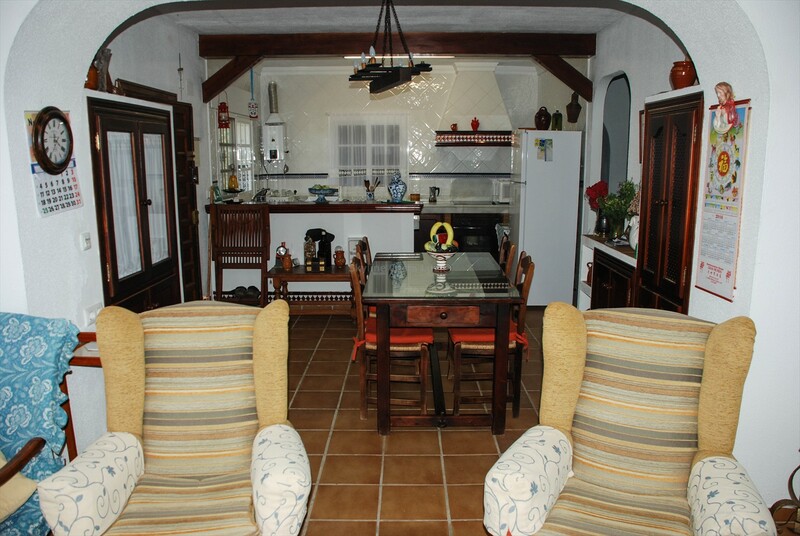 The house offers a comfortable front porch, perfect for relaxing after a hard day. 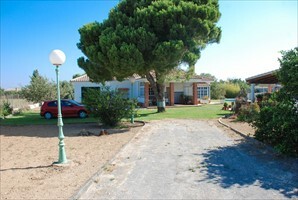 To the left is a garage and to the right is the inviting 10mx5m swimming pool. As you enter the house, the living room is to te right, the dining room in the middle and the open plan kitchen to the left. A fireplace provides heating to the whole area. 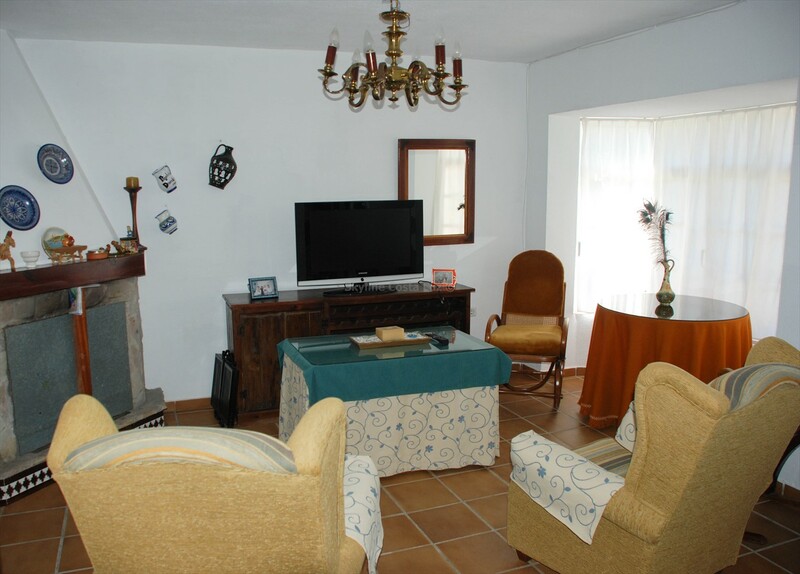 A hall connects the living room to the 2 original double bedrooms and a bathroom, which are to the rear of the property. An additional bedroom and laundry room which were added to the side of the house complete the property. 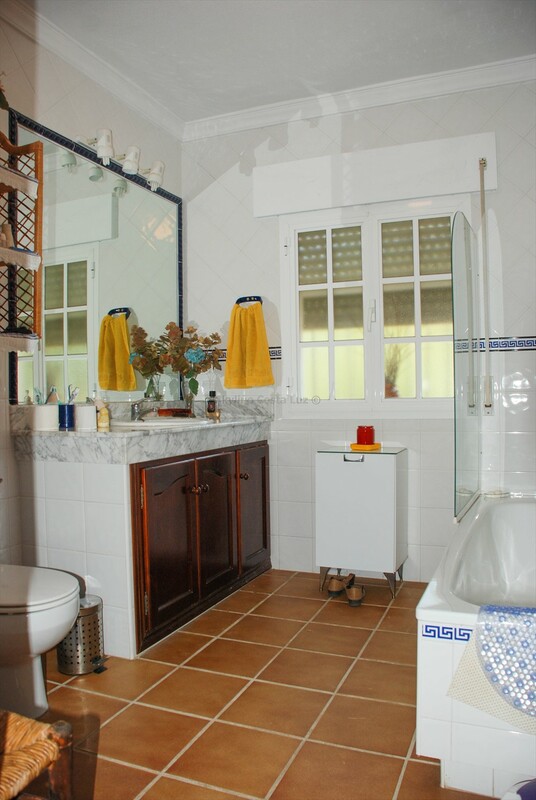 The laundry room could be converted into a bathroom. The huge plot also has a large store room/warehouse at the back left, which is used for tools and equipment. The property provides a lot of opportunity for those looking for a hobby or additional income. 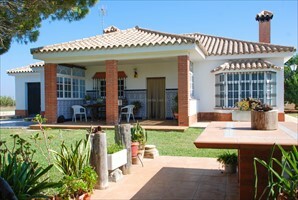 It also provides privacy and breathing space for those simple wanting to enjoy and relax under the Spanish sun.